Since this was a sort of a last minute decision, I had a very small budget to throw this party at home. The plan is to keep it simple: polish their nails, put on *Just Dance Disney Party 2 – Wii Game, order pizza and have some Disney themed refreshments like the *Pepperidge Farm Mickey Mouse Special Edition! Cheddar Baked Snack Crackers and *Good2Grow Juices. Jelly Belly is The Original Gourmet Jelly Bean candy that kids/parents love because it’s fat free, gluten free, peanut free, and has a variety of fun flavors. I picked up these Disney mouse ear headbands from Target and added some gems in case the girls wanted to bedazzle them! I found this Disney Sweet Treat at my local Target in the seasonal 4th of July section. So pretty and pink! SobeSavvy Tip: Now that you have these budget friendly items, what should you put them in? The Disney Store sells these small Reusable Bags for only .25 cents each! They are only allowed to sell 5 max per customer. So take a friend or make several trips if you need more. Did you know the Disney Store sells these adorable reusable bags?! The bags can be used for both a girl or boys party but since it is a girls party, I will add some pink tissue paper for fun! All the Disney themed Goodies ..Before and…. After! The Disney Goodie Bags are all filled with fun bargain finds! I like living conveniently close to Dollar Tree, Target and Michael’s Arts and Crafts but if you don’t, you can always find bargains shopping online at Amazon.com. When the party is all done, I am going to enjoy a Disney Dole Whip Inspired Rum Cocktail (see my recipe here) because this Disney Mom deserves it! Will you be doing any end of school celebrating ? When was the last time you did anything Disney related? Please let me know in the comments below and thanks for reading! I recently traveled to Atlanta to visit family and friends during my daughter’s Spring Break. It coincided with Easter as well, so there was a whole lot to celebrate! We enjoyed a fabulous Easter Brunch at the Mandarin Oriental, a fun dinner/show at Medieval Times, and a family-friendly dining experience at The Cowfish during our stay. While all of these were amazing foodie fun experiences, I knew that planning a visit to the American Girl store would be just the place to make #outandaboutAva’s Spring Break extra special. I was happy to find out there was one in Alpharetta,GA that included a bistro and even happier that I could turn this into a double date with mom/blogger [Ashley of @MommyWeek], her daughter and of course the Girl of the Year doll, Luciana Vega! Mommy and Me Lunch Date with Ashley of MommyWeek, Leslie of SobeSavvy, their daughters + American Girl dolls! As soon as you walk into the bistro, you know you are in for a girly good time with all the pretty pink decor. From the pink table, pink menu, pink daisy centerpiece and pink napkin holder (which your child gets to take home as a pony tail holder keepsake), the American Girl Bistro is… “soooo cute” per my little girl. All are welcomed to have a seat at the table, including your doll! They will bring a pink dining chair (with a doll if you don’t have one) right to you for your little one to enjoy. Here is a fun pic from my Instagram instastories showing what the American Girl Dolls look like sitting at the table too! Memories are always on the menu at the American Girl Bistro. Expect to have a delicious dining experience that you can create all on your own! Lunch included an appetizer, entreé and choice of dessert. We ordered speciality Luciana Vega drinks and said a toast to new friends and new memories! For starters, I had the mozzarella cheese sticks while both girls ordered the fruit fondue, which came with muffins, a fruit skewer and yogurt. We all thought the presentation of the yogurt served like a flower pot was so fun! Our main entreés came quickly and were cooked perfectly. I highly recommend the salmon dish if you are looking for a healthy seafood option. My daughter loved customizing her bowtie pasta by sprinkling as much parmesan cheese on it as her heart desires! Everyone became a member of the clean plate society since we finished every bite. It was that good. Be sure to save room for the scrumptious sweets to enjoy at the end of your meal. The delicious desserts range from cookies, cupcakes, brownies, ice cream or if you really wanna go all in, get a brownie ice cream sundae! 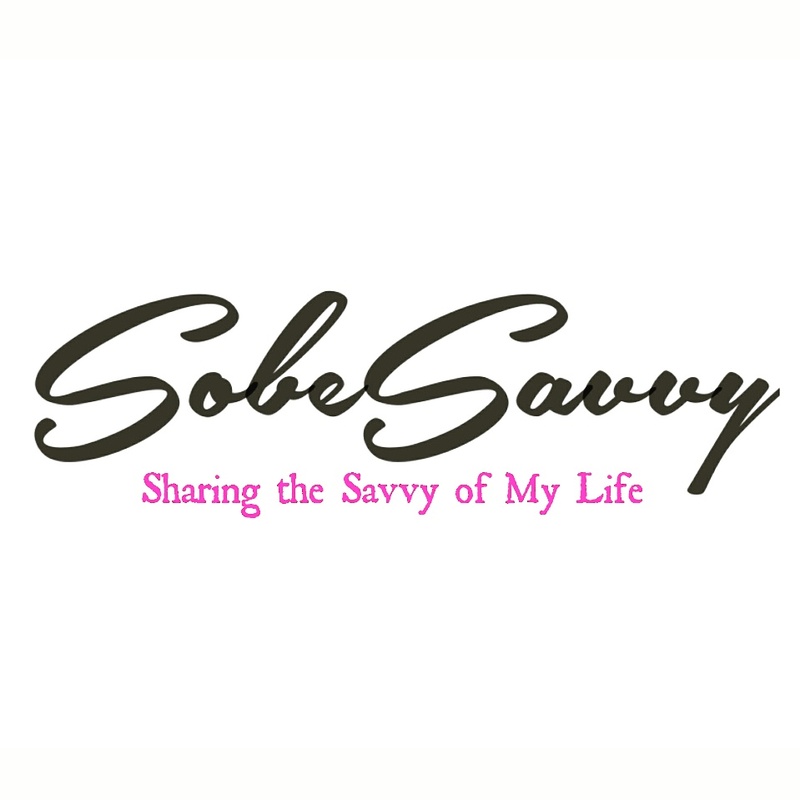 SobeSavvy Tip: Wanna make your dining experience more fun? Play the the conversation starter game, which you can find at the center of the table. It’s a great way to learn about yourself and everyone else! After our delicious lunch, we headed into the American Girl boutique store to explore what’s new. Did you know you can search for exciting augmented reality experiences throughout the store simply using your smartphone? That’s right, you can bring magic to life and unlock interactive experiences, stop-motion videos, behind-the-scenes content, and more! Make plans to head to your nearest American Girl store and check out all the fun, new happy spring experiences to share. Check out MommyWeek’s blog post giving her perspective of this fun day! Be sure to stop in American Girl store soon and leave with your smiles in full bloom! Thanks again to our friends at American Girl for hosting us and giving all of us a Spring Break date we will cherish. From hair accessories, like bows and headbands to adorable (and adjustable) rings, Glee Kids had some items that I think any little girl would love for a Violet Valentine! The Red Hen always has unique items and great prices, so I was not surprised that we found something for a Violet color themed gift. If you are making a gift basket for your kid on Valentime’s Day, fill it with little toys from The Red Hen. We left with this Girl Bat Cape because my daughter said it was going to activate her shopping powers and help with finding more #MyVioletValentine items! Dina Porter is a classic boutique for shoppers interested in one of a kind quality items. Looking for a unique scarf or sweater? Dina Porter has it all! There were all shades of purple in that store and many eclectic selections, like the ultraviolet polka dot raincoat with matching tote bag! Plan to wine and dine your Valentine at home? Is your special someone a foodie? Then a gourmet gift and flowers from Southern Season would be appreciated. I absolutely love that store, especially the organization of their wine section. Surprisingly, I found lavender caramel chocolate which is going to be perfect for #myVioletValentine theme, don’t you agree?! Art galleries always catch my eye, which made me stop in The Frame & Print Shop. I found the most delightful violet Valentines Day card as well as some great Monet inspired note cards. Nothing says pure romance like a handwritten love note! Be Pure Beauty sells natural products made of clean, non-toxic ingredients. At this store, you’ll find the best of green beauty brands that are conscious of keeping people, the planet, plants and animals safe. They sell makeup, skincare products, bath bombs and more! I found some lavender scented bath bombs and eyeshadow (color ‘Soiree’) that would make great #myVioletValentine gifts! You may be familiar with Bath & Body Works for their fragrant personal care products. You can always find flavorful indulgences, including shower gels, lotions, candles and accessories. I am a big fan of gifting candles for any occassion and for #myVioletvalentine, a lavender scented or any violet purple candle would be a great choice! Did you know you can create jewelry at Goldworks in North Carolina? This store specializes in custom jewelry designs, in yellow, white and rose gold, platinum, silver, Mokume gane, and much more. You will find a variety of designs from traditional to truly original and artistic designs. Visit Goldworks jewelry store and gallery to have one of the professional jewelry designers create a unique and original gift for your special Valentine. Jewelry is always a great gift idea and right now for the month of February, the gemstone is Amethyst! It’s the perfect violet hue and fits #myVioletValentine theme. Goldworks is also currently having a 50% off sale on select items you don’t want to miss. SobeSavvy Tip: Check out this fun Galentine’s event happening TONIGHT, 2/8/18 7pm-9pm at Kidzu Children’s Museum inside UNIVERSITY PLACE. I hope you’ve enjoyed this post as much as I did creating a fun way to be on trend this Valentine’s Day with the Pantone Color of the Year, Ultra Violet. At University Place, shopping all shades of purple was such a fun time and we found some great choices for #myVioletValentine 💜! In honor of the Pantone Color of the Year: Ultra Violet, I want to inspire you to switch up from the usual color red and make violet purple purchases this Valentine’s Day for yourself or loved ones. With over 200+ stores and restaurants, Crabtree Valley Mall is the perfect place in Raleigh to kick off this series! There are so many great places to ‘SHOP in the name of Love’ just like the sign outside of Bevello says…so let’s get started! There’s also Purple Disney characters like Doc McStuffins, Sofia the First, Rapunzel available at The Disney Store and fun fashions like this graphic tee from The Children’s Place! Find February’s gemstone, Amethyst and other purple gemstones in any of the jewelry stores including Swarovski at Crabtree Valley Mall. I found a beautiful cocktail ring at Sears, which is one of three anchor department stores at the mall. You can also find Handbags from Coach or Michael Kors, purple candles from Yankee Candle, and shades of violet at your favorite cosmetic stores: Bare Minerals, MAC or Sephora. Everyone loves a good smelling man right?! Pick up a nice smelling fragrance for the both of you at any of the anchor department stores, Sephora and these from Aeropostale. Remember those tops I saw at American Eagle Outfitters? While there, I noticed boxers that were perfect for #MyVioletValentine! I plan to box up these (along with a few other surprises) and present on Valentine’s Day, which is just 9 days away! SobeSavvy Tip: Still can’t decide what to get for him or her? Give “The Gift of Choice”, a Crabtree Valley Mall Gift Card available for as little as $5 or as much as $500! Gift Cards are available at Guest Services. We had so much fun shopping for #MyVioletValentine at Crabtree Valley Mall and hope you are inspired to make your way there soon! #outandaboutAva visits the @American_Girl Store for Holiday Shopping, Bistro Dining and More! We are in Charlotte,NC where a visit to the American Girl store in the SouthPark Mall is a must do experience! Our daughter, now age 6, was very excited to take her GOTY doll, Gabriela McBride, with her for the first time to enjoy afternoon tea at the Bistro, ear piercing at the doll salon and some holiday shopping. Not only did my husband,daughter and I enjoy our family date, but we got the opportunity to #givewhatcounts to our child. American Girl brand inspires all to create memories that will last thru the holidays and beyond! Good eats, delightful sweets and for your doll a special seat..that’s what you can expect at the Bistro. We went during their special Holiday Tea event, which included a deliciously different menu of teatime treats, a craft, and fun conversation with the holiday Table Talkers. We made a fleece headband to keep the dolls’ ears warm on chilly days, and a holiday-card-making craft. It was great way to start the holiday season with a special teatime together and a couple of crafty projects! Recently, #outandaboutAva got her ears pierced just in time for her photo with Santa and thought it would be great to have her doll’s done too! At the American Girl Doll Hair Salon you can get a “Gabriela Girl of the Year Ear Piercing”, which is an exclusive ear-piercing service available only for the Gabriela™ 18″ doll. It was a quick service for her doll, which included her signature earring set. The music note studs are so adorable, I wish I had a pair! Pampering services and hair styling services are also available at the salon. It was so fun to see the dolls get a new look! Christmas is just days away and if you are still looking for ideas to gift your girl then look no further than American Girl. They have gifts that will teach her that “little moments of kindness can only come from big hearts”. I decided to treat my daughter to an early gift to celebrate her courage in performing in her first solo ballet recital a few days ago. It was practiced as a duet but in the last moments, she had to do it by herself. That experience helped build her confidence and allowed her to let her spirit shine. To help her with backstage jitters, we were able to discuss how her American Girl doll Gabriela loves to perform and express herself thru dance just like her. Gabriela’s story inspires creativity and even when its not easy, she uses her talent to help those around her. So for both, my daughter and Gabriela, we got matching girl & doll PJ sets, which are on holiday sale until 12/24/17. We are planning an NYE ‘family date night in’ which is a together tradition we do and you can bet these fun, matching pjs will come into play. Find creative tips on planning the ‘Ultimate Sleepover’ inspired by American Girl’s ‘A Year of Slumber Parties’ book. to provide care and comfort to members of the military, veterans, and their families. Donations can also be made at americangirl.com. On Jan 1, American Girl is introducing Luciana Vega, the 2018 Girl of the Year. She comes with her cool line of space inspired products (like a Mars habitat and flight suit!) AND an out-of-this-world storyline about an 11-year-old who dreams of being the first person on Mars. American Girl worked with NASA, including a task force of advisors (scientists, astronauts, and more) who helped ensure the accuracy and authenticity of Luciana’s world—from her story and products to a STEM-based educational program in partnership with Scholastic and Space Camp. We plan to head to the Raleigh,NC temporary store to celebrate her launch. AG is hosting Luciana debut events at its retail locations nationwide on January 1. The event features interactive science demonstrations, a Moon Phase craft, galaxy-inspired treats, and a free Luciana doll tee to take home. For more details, visit americangirl.com/retail.